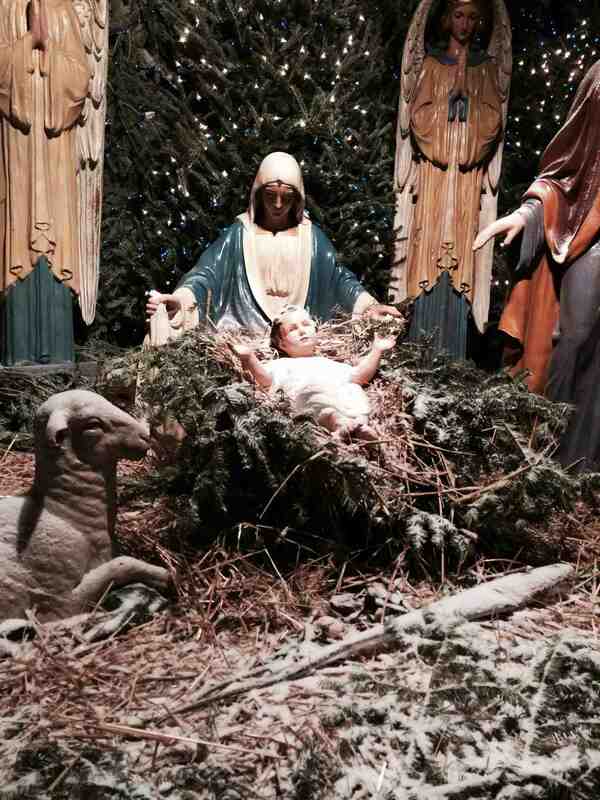 Crooning Masses: White Christmas — Yea! Brooding Masses: White New Year’s — Nay! But here we are, approaching 72 hours into 2014, and the East Coast is getting pummeled with a ferocious blast of winter. My Grind shuttered at 3:30 on Thursday. I will not return until Monday — in defiance of the rumor that mentally I vacated the premises in 2007 never to return. On my way home, I made a pit stop at my grocery store for organic fruit and vegetables, even though what I craved most was a stiff 80 proof libation. Then I returned to my hovel intent on burrowing for the remainder of the evening that I spent emailing and texting my pal, Coco. As the hour approached eight bells and two stifled belches, I paused in the midst of a fascinating as watching water boil exchange about the ninth wonder of the world, antacid, to inquire if she could see what the weather was like outside her window? Oh, could she! What follows is a series of images Coco shot in lower Manhattan south of Houston Street, a street that rhymes with mouse-ton to you non-New Yorkers. This area is commonly referred to as SoHo. Bundle up and enjoy the tour. 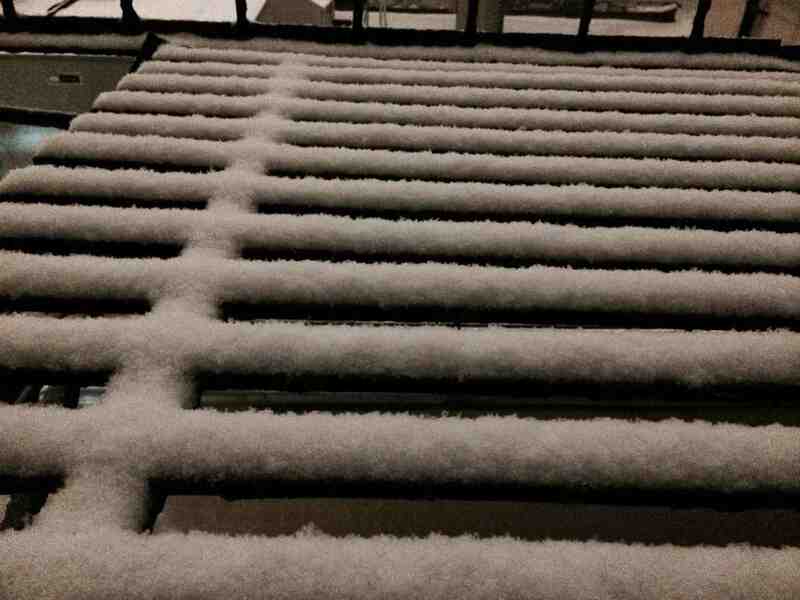 Fluffy snow on fire escape. Cue the Drifter’s singing “Up On the Roof” or maybe not. 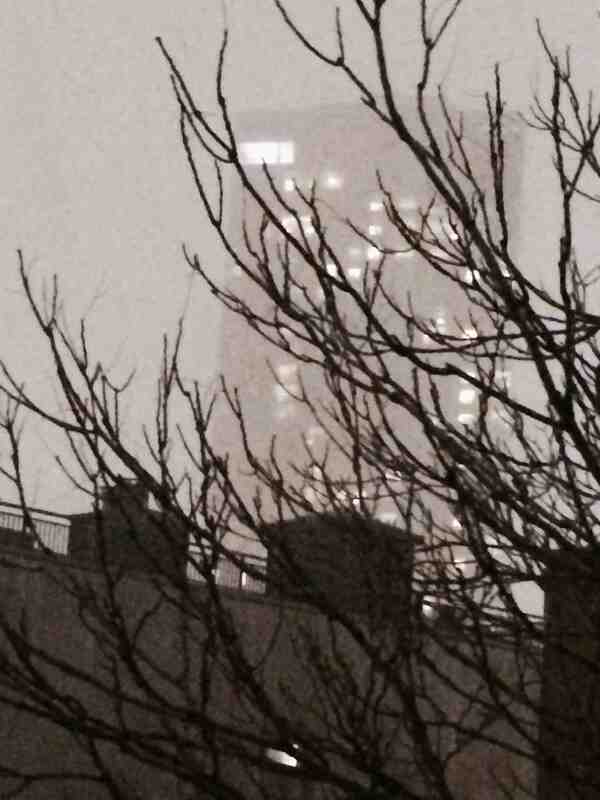 Trump Soho in the windy snow. Yes, as in The Donald. Take in the cat. Leave out the bike. Vesuvio Playground table when not occupied with chess or checkers players; games devoted to sitting. 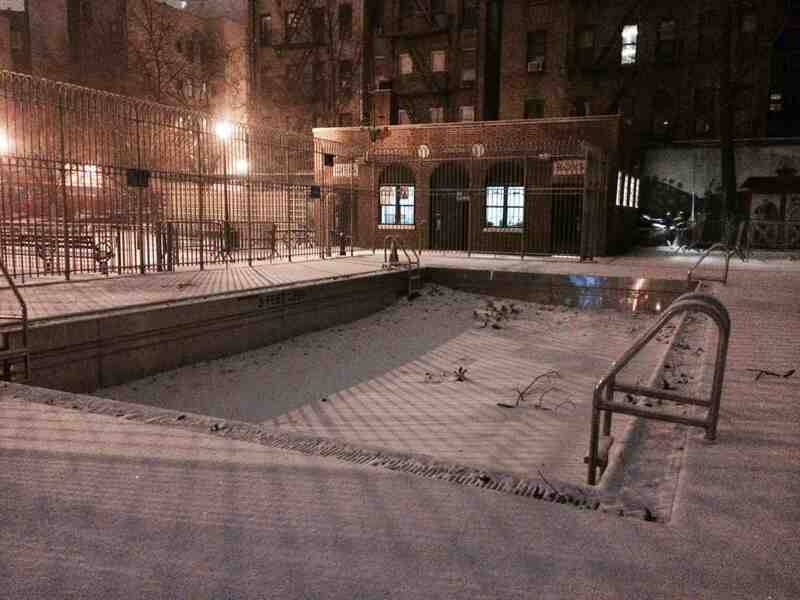 Vesuvio Playground swimming pool on one of its less than better days (or nights). Dominique Ansel Bakery a.k.a. the home of the cronut. Will the line form at 5 am on this morning? Cycling in half-mile visibility — not on my bucket list. Still festive on Thompson Street. They didn’t get the memo that it’s a miserable night. 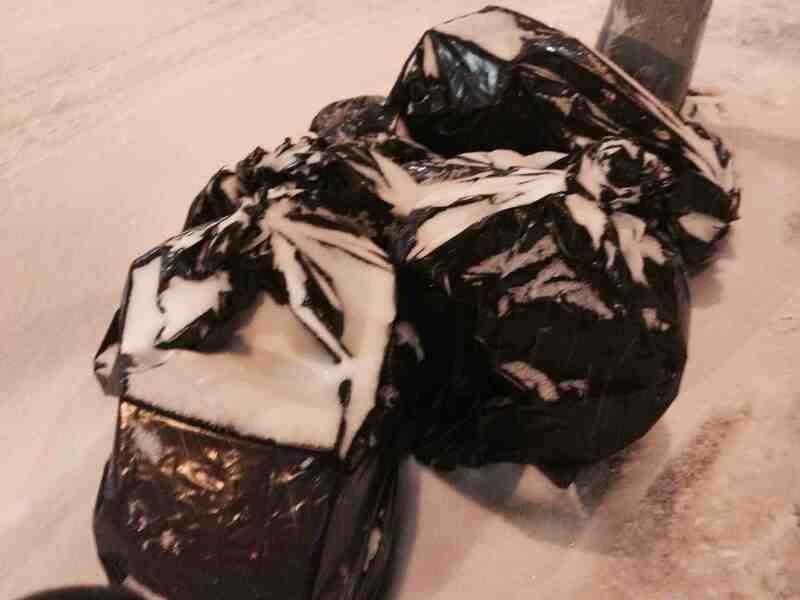 New York wintertime specialty: frozen trash! Nearly deserted Houston Street decorated with Christmas tree discarded curbside. 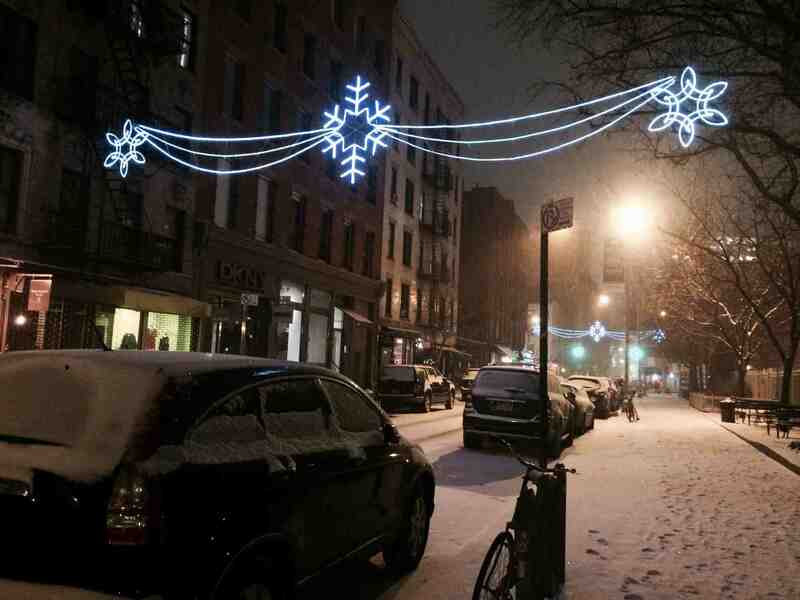 Houston Street snow in the spotlight. Someone call child welfare and throw a blanket on that kid! 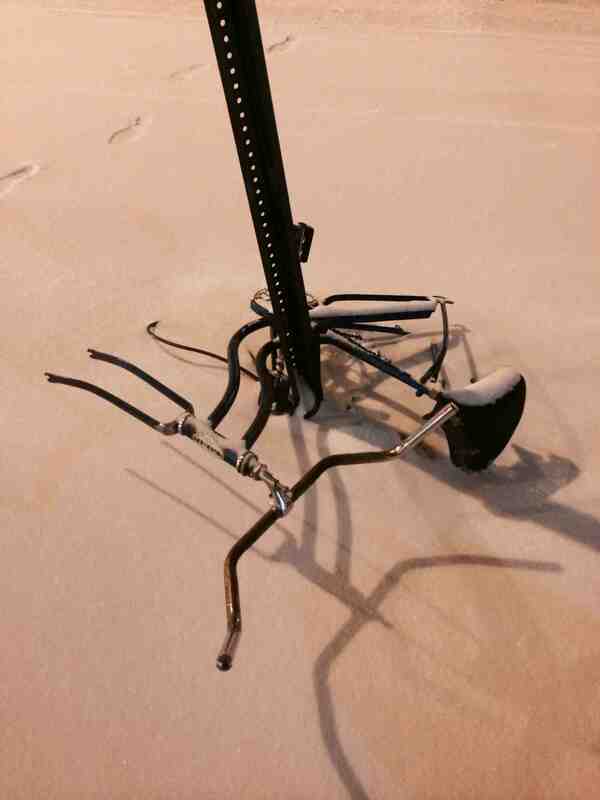 This bike has seen better days. White cab blending into white street. Wicked wind — get inside now Coco! Since I am under self-imposed house detention, Coco and I might collaborate on a part two later today — if she is willing to don a face sock and brave the elements twice. I am confident that I can handle the heavy lifting of downloading and captioning her images in the confines of my warm and cozy uptown abode. 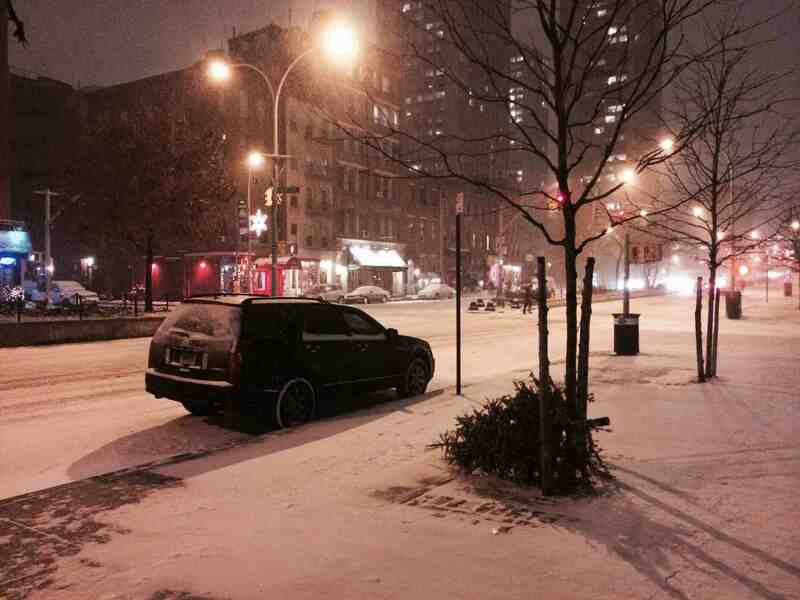 This entry was posted in Humor, new york city and tagged arctic air, blizzard, deserted street photography, new york city at night, winter storm hercules, winter weather. Bookmark the permalink. Wow! Definitely a day to hunker down. Coco’s shots are great! I especially like the Trump tower shot. Very artsy! Hope you enjoy your day off, V.
Hunker down I’m doing, Cathy! It’s 18 degrees out there under bright sunshine right now, dropping to half that when I have to meet Milton to go to the theater tonight. And the show is Twelfth Night on Broadway — no way will the Bard be shuttered! Hope Coco can make it out today!!! It’s pretty wicked out there R. The last I heard was that she was still trying to regain feeling in her fingers from last night’s lame adventure. But her three-year-old nephew, Nanook of Brooklyn, is braving the elements. What a little guy! OK send Coco up to the Yankee Stadium for some cool shots there, then all the way out to Coney to get a shot of the snow on the parachute jump, out to Staten Island just for the Hell of it and then a side trip to Hoboken to grab some “On the Waterfront” snow shots. After reading that, JF, Coco is more inclined to pound four straight shots of Belvedere vodka instead! Love the shot of LBJ. Gad to see he made his debut 9 days ago. And happy new year from Glen Ridge, a town in New Jersey that rhymes with ten fridge. Thank you Robert Frost. Happy New Year to you, too. Or, alternatively, glad. Or even GLAAD. Your choice. And thanks fir the Cronuts reference. Where’s the Ramen Burger shot? That one landed where it belongs — in the frozen trash. How anyone can chow that down makes me think too much about what some people are willing to shove into their mouths. Or for, but definitely not yew or hemlock or any other misspelling. I have noticed that I, too, am suffering that common iPhone malady, Fat Finger-itis. I am forever tapping “fir” for “for”. Grrrrrrr. Good luck with your later adventure. I hope we get to see you again. btw…it didn’t look bad at all in those pictures. I’m expecting the next set to show the true awfulness of your storm. Bundle up and stay warm. Neither Coco nor I have stepped outside yet today. 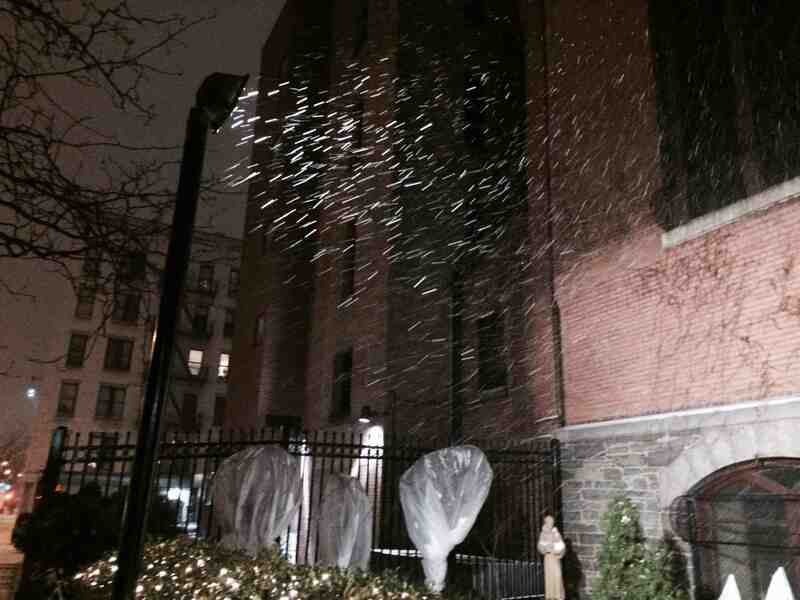 When she took those photos last night, Jim, it had only been snowing for about an hour. The city is much more blanketed now and it is soooooooooooooooooo cold — 18 degrees at the moment and plummeting to half that when I meet Milton later tonight to attend the theater. It’s definitely the day to bundle up, but staying warm outside is going to be a losing battle. I am dreaming about days that are sunny and 60 instead of the coming night when it will be dark and 6. Love the photos. Perversely, makes me miss NYC. Where I am, people shiver at 68 degrees. 68 would feel like a tropical paradise up here today, Jeremy. Glad you like Coco accessing her inner Margaret Bourke-White. She was hanging off her rooftop for those shots. 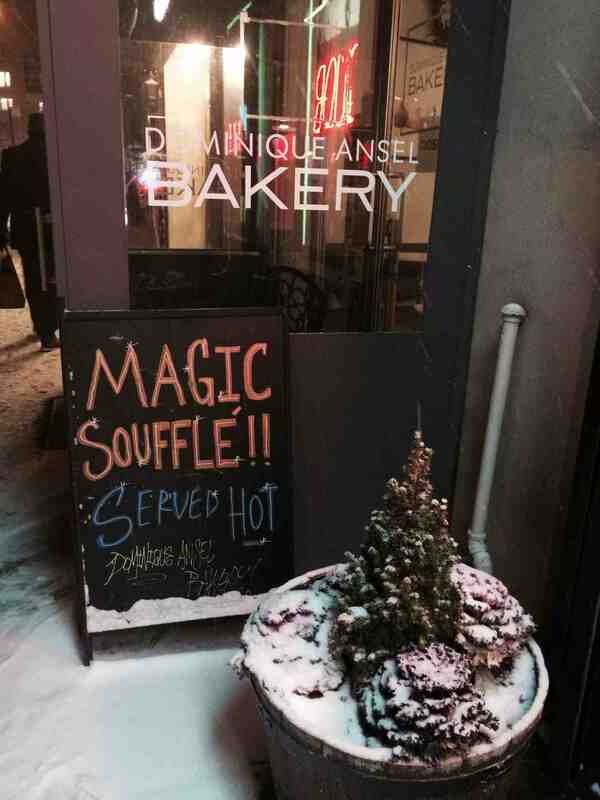 The magic to that souffle might have been that they left the sign outside even though the shop was closed. I am sure some lunatic did get to the cronut line early before an ambulance arrived. It is soooooooooooo cold outside! Looks like good indoor weather in the Apple today. It was 9 here this morning, but the sun is shining and we’re supposed to hit 30. My friends in Omaha have it much worse, so I’m not complaining. It will be 9 when I check my sanity at the door and venture out to see Milton this evening, Russell. I actually wish I was in Arkansas right now for the warm 30 degree air. I’m not entirely sure if we will do the sequel because it is just so frigid cold and Coco doesn’t have a face sock. I’m just a wimp with a big nose that is a target for frostbite. I think it looks fabulous! We never get any interesting weather. I want a Phase Two!!! Looks are deceiving when you’re living in it Maggie. It even snowed about three inches inside my humble abode because I kept my windows slightly ajar. I must remember to salt my apartment in time for the next winter blast. Those pics are awesome. I’d love to have been on that tour… thanks Coco! Looks amazing! Stay warm and enjoy your moments of bundled warmth! Last I heard, Coco is venturing out into the wicked cold right now, Crystal, so there just might be a part two to our mutual masochism. Her camera froze when she was taking these shots. 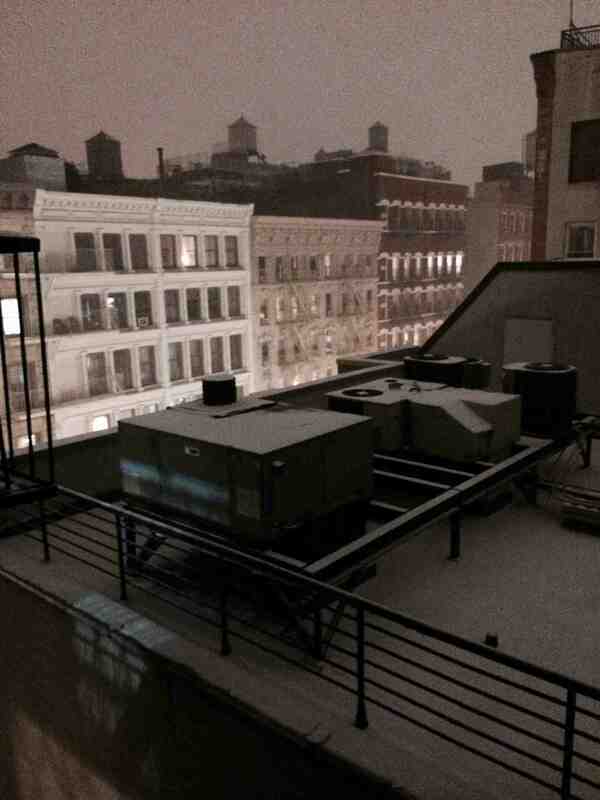 Today, New York is like an igloo. Glad you like the photos! Well done Coco! I knew today would be the day to wait for a cronut. Side note: Um…I’m at work today, just a stone’s throw from your office. 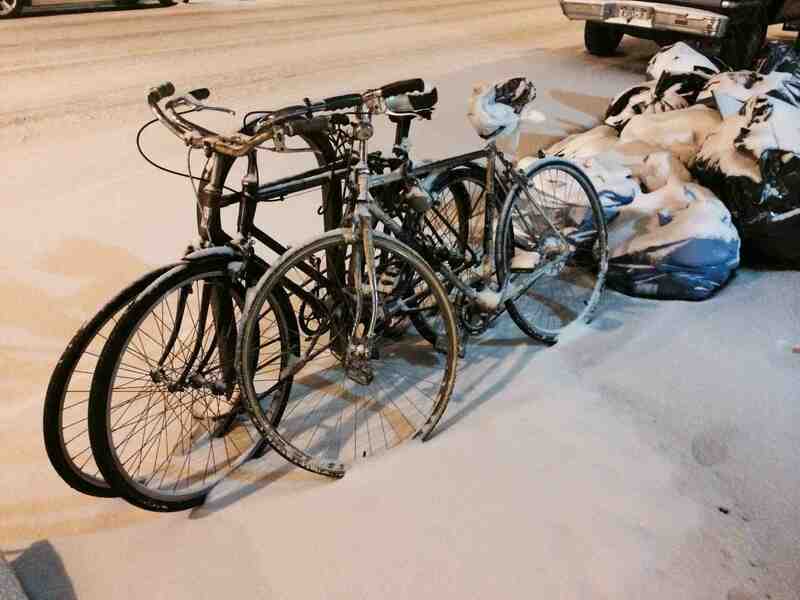 We laugh at 10″ of snow. Ha! Ha! 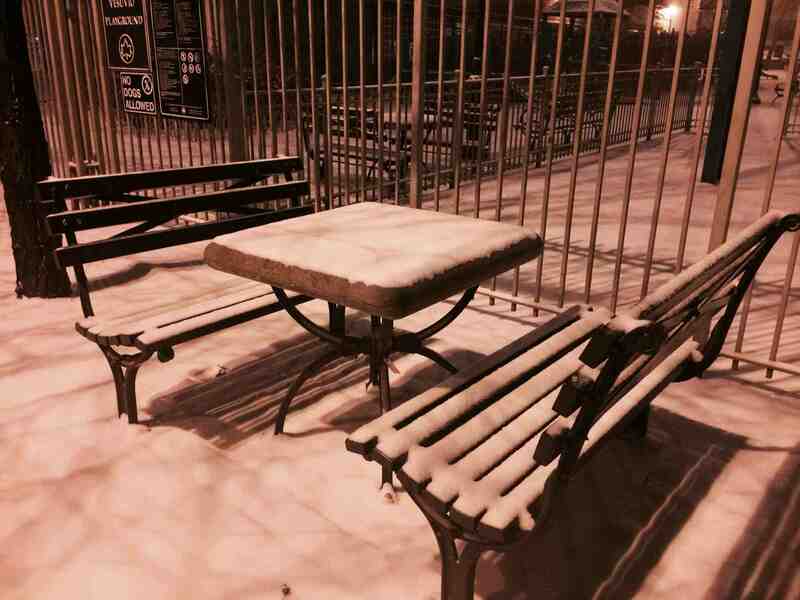 And you call yourself a New Yorker? Sheesh. Glad you dig Coco’s pix. She practically froze her fingers off shooting them, but she made sure her two favorites, her thumb and middle finger, survived. I don’t mind not being at my Grind at all today, but even if I wanted to be there, we’re shuttered! Hey, did you get a cronut? I think you rate some special treat for showing up. I’m shivering just from the photos. I moved to Florida from Chicago many years ago (I’m a tad bit older than you, just a tad). I’ve never been crazy about it here, but when people ask me if I like it, I say there are only three things I like about it … January, February and March. Stay warm in your burrow. For my previous employer, I once had to leave Gotham City to work an assignment in Florida during the dead of winter. It was a job that was scheduled to last a week but extended into three. I am not shy about blowing my stack, but when I was there in February, my stack stayed put. Very put. 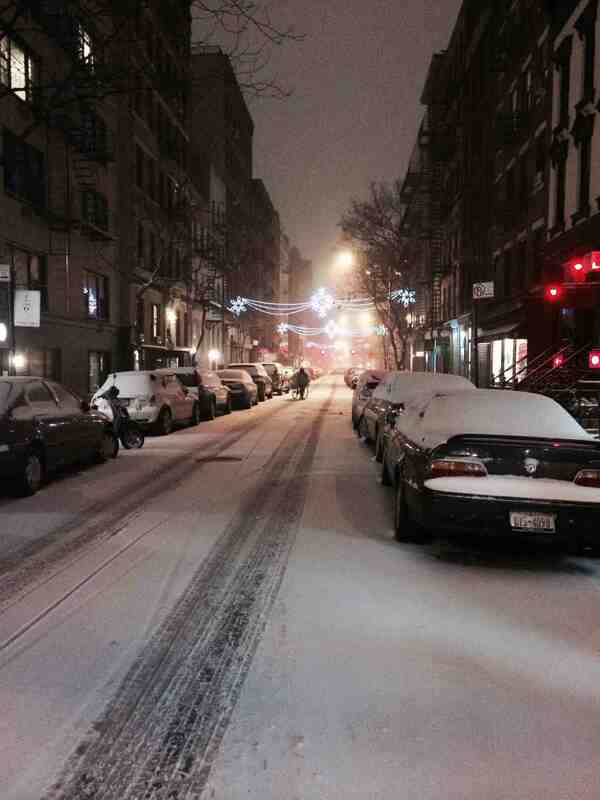 I love the photos — artful and I love seeing the snow scenes. Thanks Coco and V.
I experienced my own snow scene here in Delaware this morning, with shovel in hand. Not too bad, though, about five inches and light and fluffy. 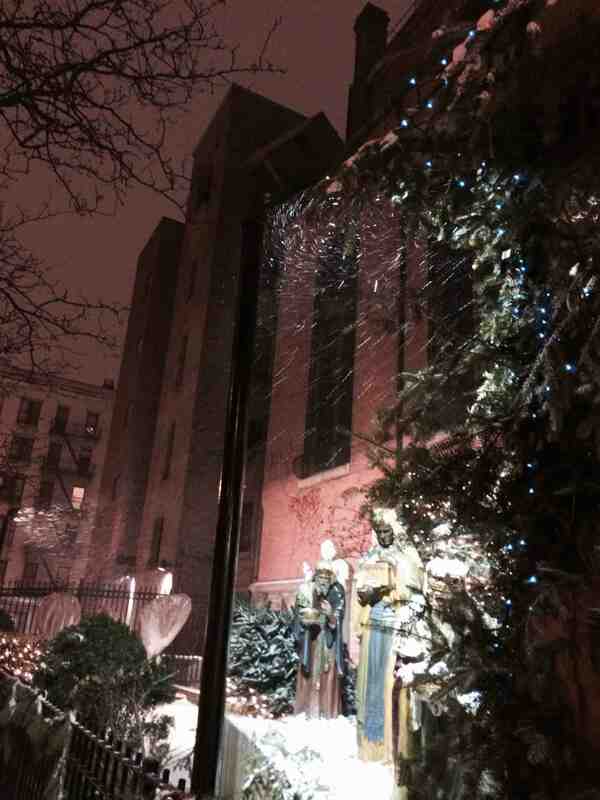 Seeing the cardinal in the snow made it worthwhile. What a brave little bird, Samantha. I think our pigeons over here are on a forced diet. No one wants to be out. Glad you like Coco’s pictures. We do have that sequel in the works now that she’s recharged her camera’s battery and has regained feeling in her fingers. I am looking forward to the sequel. Cardinals do appear in the snow. I think they do it because they’re so brilliantly red and they look especially good against the snow backdrop. I am too lazy to research cardinals currently, but I couldn’t help wondering this morning what they find to eat in the winter when everything’s blanketed in snow. We have a few pairs that stay around here year round. They have quite a son repertoire, too, some fancy trills. This one today was vermilion with some black feathers on its back or wings. Striking. They sound like avian fashion whores to me. They’d fit in perfectly with all the posers over here. I thought of that. This guy was really decked out. All he needed were some long, thick eyelashes. Well done on the photos … first two are my favs … the the burrito is my favorite comment. 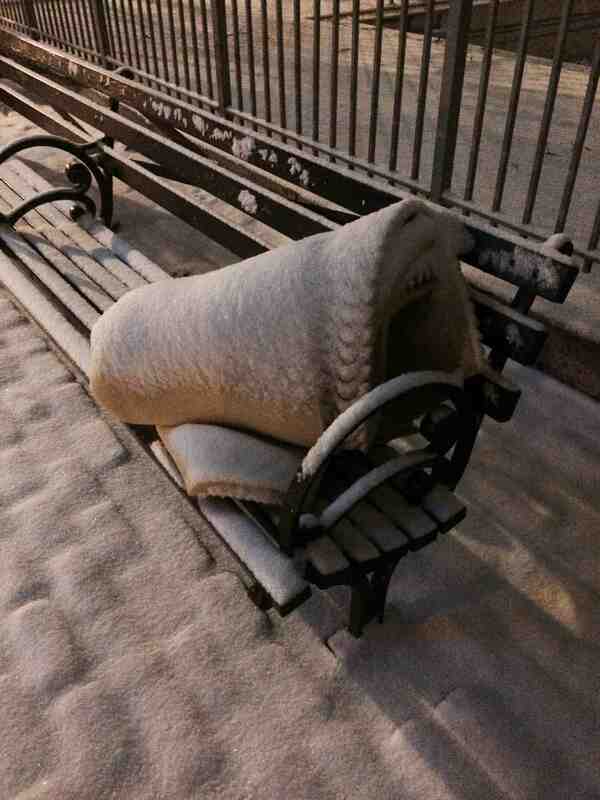 Stay warm …. and don’t be too bummed about being away from The Grind for extended time. You and I are on the same page with Coco’s images, Frank, and I’ll let you in on a secret: the burrito comment was hers! She’s quite a wit. I saw where Long Island had blizzard conditions. That winter wonderland is magical at first and I kind of miss it sometimes, V. I hope you are wearing comfortable, fur-lined boots with tread in the bottom. Those sidewalks can get wicked slippery. STAY WARRRRRRMMMMMM. Hey Brig, may I remind you that the winter wonderland around here gets old fast. Yes, I have the wardrobe, including the boots, but not fur lined, for teeth chattering days. In fact, when I went out last night, when it was 12 degrees, I was so bundled up my glasses steamed. I nearly walked into a tree. Thanks to CoCo for the photos and to you for the captions. Hope you are not dead from cold, even as I type this. But then if you aren’t leaving your apartment, maybe you are still with us. Hope you had a great holiday in CA. Happy New Year. Kathy, no need to apologize for having a life during the holidays. I was not exactly a blog writing/posting machine myself. 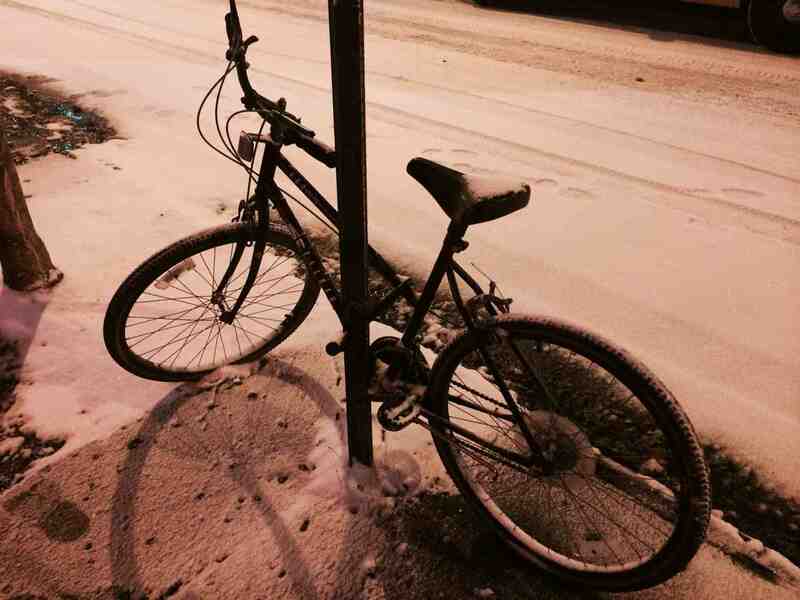 And rest assured that I am surviving the elements, but I might soon die from spin bike riding exertion. Afterward, I do find my energy level soars. I completely forgot what it feels like to have energy. I would say it’s almost on par with the ecstasy one feels during physical intimacy provided one’s partner looks somewhere in-between a kangaroo and a Kardashian (with the voice on mute). Happy New Year to you and Sara, too. Good luck with the cold and snow. It’s -20 C. here (not so bad when you say -4 F. ) but miserable none the less. I stayed in today, and hopefully I can manage it again tomorrow. I sure hope it warms up by Monday so I can go to yoga! I’m just not coping well with the cold and snow this winter. Guess I’d better work on an attitude change or find somewhere else to live… BTW I love that you have someone else out in the cold taking photos – great planning on your part! -4 F sounds pretty miserable to me Terri! Right now it’s a foggy 32 in the Big Apple. I am sure that must sound tropical to you. And yes, Coco was quite a trooper for this post — and the next one. I woke up to frozen hot water pipes in my kitchen this morning. It’s -8 F and I’m getting really tired of this! I only got home 2 days ago, so it’s probably too soon to take a vacation, right? Drat. Frozen hot water pipes when it’s -8F sounds like torture, but I also kept my windows open during the start of the blizzard so it snowed about three inches inside my sanctum sanctorum until I figured out why this place was suddenly feeling like the arctic. I don’t want a vacation as much as I want spring. When I was a kid and I first moved to a place where it snowed occasionally (the Great State of Washington), I would pray for snow. And those ever-so-rare days when school would be cancelled were heavenly. However as an adult with responsibilities, I quickly learned to hate it, and that’s why I live in a place where, if it ever snows, it will mean the end times are here and I’ll have bigger things to worry about. I would think that it would be easier to get around NYC in these conditions than some other big cities, because of the subway system. True, you have to walk above ground to get to them, but aren’t the stations distributed pretty liberally throughout the city? I’m sure, as is so often the case, that there’s some vital piece of info I’m missing which would make me realize my assertion was asinine. But not having that hypothetical nugget, it sounds pretty hunky-dory. Smak, the subway was running during the blizzard, but only local trains. My company closed Friday so I have no idea what the commute in was like that morning, but the snow stopped early that day and the temperature plummeted. I steered clear of all public transportation until that evening when I hooked up with Milton and the trains were running fine in the 12 degree temperature. Walking to the station from my garret was slippery. I’m pleased to report that I remained upright, but because I’d prefer to avoid breaking any limbs, I was compelled to walk at a slower pace. The Grind actually closed early. Wow it must be a bad storm. Watch out for ice! Thanks for sharing the photos. We are getting lots of rain, but no snow. Now we’re just getting a lot of frigid cold. It is 9 degrees as I’m typing this weather report. I think it is warmer inside my refrigerator than it is outside, but I have no intention to hang out in either location. I am slow to my e-mail list but glad I am finally getting here. Great shots, your friend did an excellent job (she is an excellent friend to do that for you). mouse-ton? Ya’ll surely do talk funny up there! Val, I am sure there is some historical, and maybe even hysterical, reason why Houston Street here rhymes with Mouse-ton Feet. But you can always recognize the out-of-towners when they pronounce it Hews-ton. Maybe the pronunciation is just an example of ancient New York City snark? Hey, I am still catching up on my blog-reading, too! I like the Ansel Bakery photo and the answer is probably no … no. Waking up at 5 a.m. to stand in line in the snow for a donut … dude. No. Sleeping in warm bed wins. Buddy, I am COMPLETELY with you about that, but every so often Milton thinks we should do it. I have reminded Coco that I’m fast approaching a mini-milestone birthday this year so if she’s compelled to stand in line (Ansel is actually her go-to neighborhood bakery), that will work for me. Of course, some of the days the flavor is citrus: something that’s verboten from my uber-bland diet. Something Coco knows very well. It would be extremely uncool if she waited in that line only to get one and learn that it’s lemon. It would also be very Lame Adventure though. 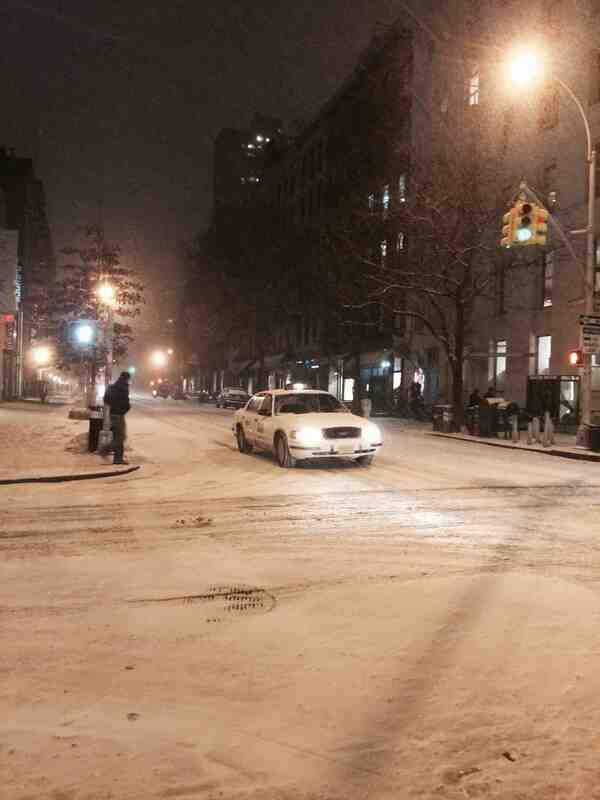 NYC snowy, night, deserted streets pics have magic. Nice job! Thank you and thanks for taking the time to comment! That’s very true. 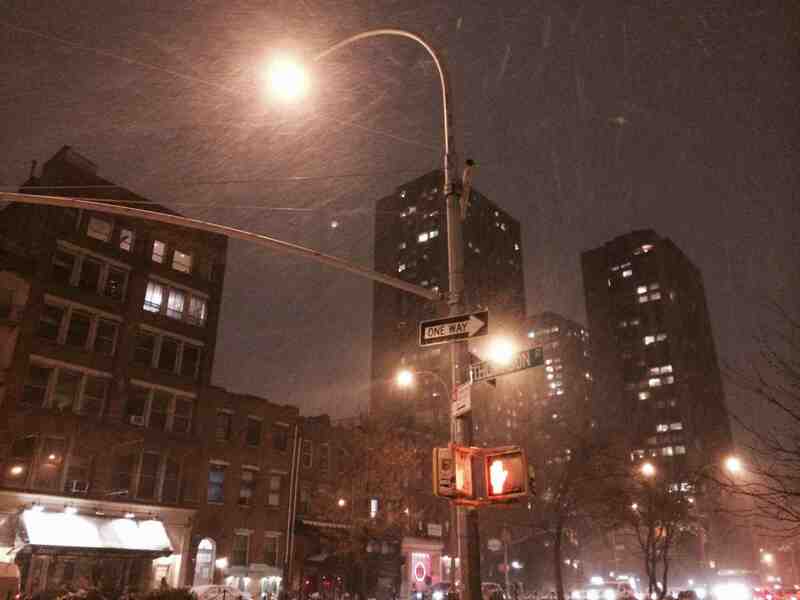 When snow is falling on the Apple the city seems to decelerate to tai chi pace. We are Soooooooo late. curses. But happy, thin, birthday. Loved the Broadway show reviews and love the new avatar even more. Happy birthday, from all of us at Shrewsday Mansions. How you managed to respond to my birthday post via a wintertime post is very … British(?) of you, Kate. I LOVE the Tweet featuring our favorite terrier. His mustache looks immaculate; possibly why he’s donning the shades — Macaulay doesn’t want the cats to know he can look so debonair. In fact he looks like the George Clooney of terriers in that shot. He’s a Reservoir Dog, Only not murderous, obviously. Sorry about the mislocation of your birthday comment! Mac is indeed a Reservoir Dog! I think it’s hilarious that you’ve written a springtime birthday comment to me in a wintertime post. If it’s also Mother’s Day on your side of the pond, I hope you’re having a happy one.